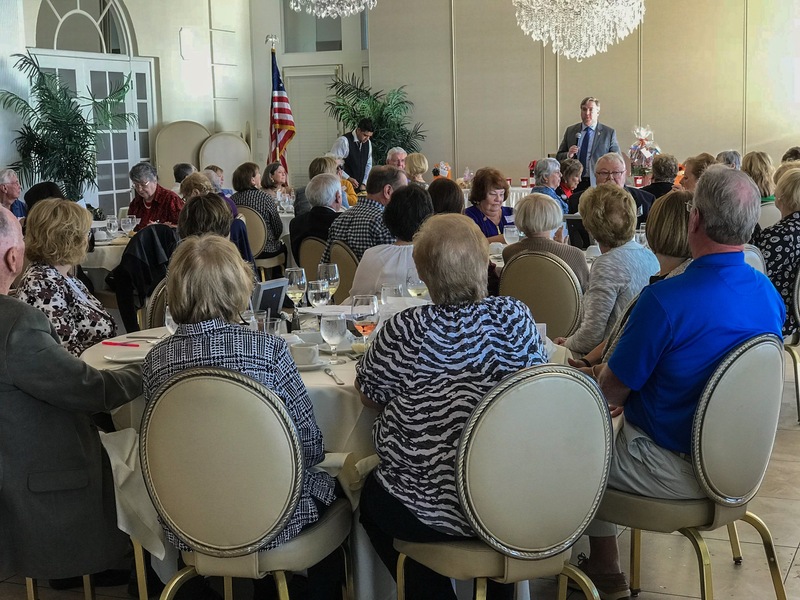 Seven executive board members of the R-UTN attended the Retiree Council 23 Fall Luncheon on October 19 at Lombardi’s on the Bay in Patchogue. Attending were colleagues from the RC23 member chapters — Commack, Elwood, Harborfields, Hauppauge, Huntington, Kings Park, Northport, Port Jefferson, Port Jefferson Station, Sachem, Smithtown and Three Village. VOTE/COPE Chair June Smith gave an update on NYSUT’S phone campaign to defeat the Constitutional Convention proposition. Retiree services Consultant Joan Perrini highlighted the upcoming Regional Retiree Conference on November 2nd. RC 23 President Ellen Burke urged members to continue phone calls and to attend the “Pizza and Post Card” party at the NYSUT office. ED 52 Director Rosemary Catanzariti emphasized the need to donate to VOTE/COPE and the possible financial impact of the current Agency Fee Supreme Court case. Guest speaker Peter Verdun stressed the importance of getting the vote out on November 7th. 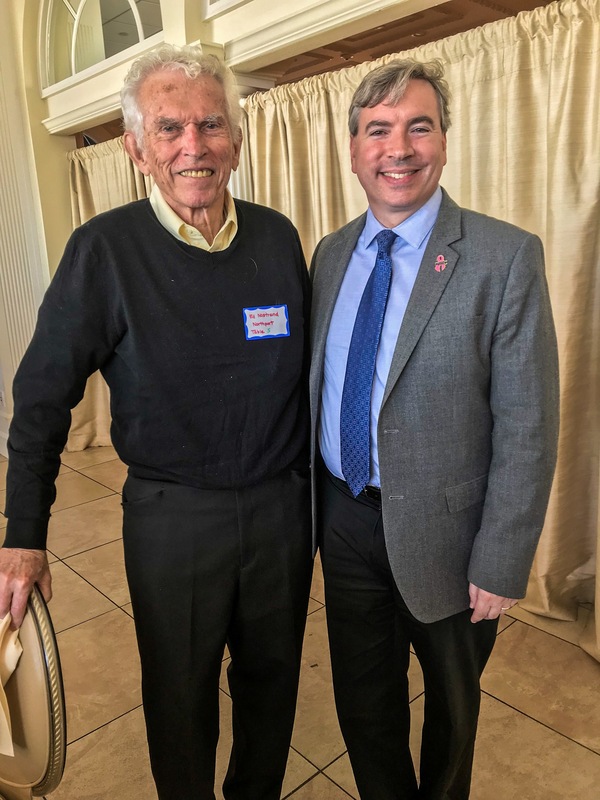 He also had a surprise in store for the Northport contingent when he related that he was a Northport graduate, and his guidance counselor, Ed Nostrand, was at the Northport table. After a great meal and informative speeches, we held raffle of gifts donated by each chapter. The lucky winners were Barbara Schubart, Kathy Hynes, Mary Kay, Rita Root, Judy Bensimon, Carol Crowley, Carolyn Bogart, Elaine Gish, Fran Martin, Joyce Duck and Ana (no last name) from Commack.